No one uses a paper map anymore (well, except Cat and me on our road trip - atlas nerds! ), but what do you do when you're in another country without a data plan to give you access to Google maps? For the first few weeks of my trip, I survived on screenshots taken when I had wifi access, the terrible maps in my Lonely Planet (seriously, LP, Georgia and Armenia deserve better), the kindness of strangers and a lot of lost wandering. Then I noticed a lot of fellow travelers using their phones to navigate even when we were far from wifi - what was their secret? Expensive international data plans? Nope. Seriously, y'all, this changed my travel life. 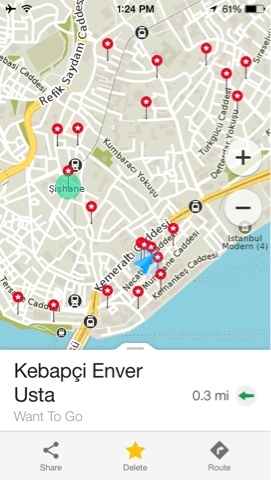 Maps.me lets you download free maps to use offline. They vary in size by country and whether you download the routing option, but generally don't take up too much space. 1) dropped pins: drop a pin at your hotel so that when you're done wandering for the day, you can figure out how to get home. Restaurant you want to go to isn't on the map? Look it up while you have wifi, drop a pin at the address, and never lose your way. 3) taxis: taxi drivers are the worst. And with a language barrier it's even more frustrating trying to get from point A to B. The app lets me show the taxi driver exactly where I'm going and help them navigate along the way. Also, it's kind of a nice safety measure - in an unfamiliar city, I like the reassurance that we are headed in the right direction. 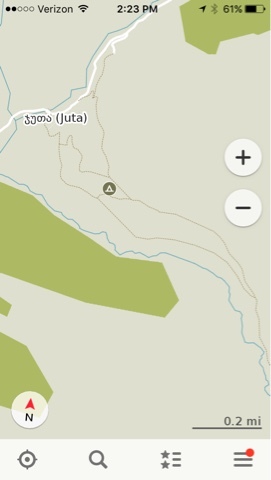 4) hiking trails: the app even has many hiking trails labeled! And if you tap on your current location, it will tell you your altitude. That's just fun. 5) keep track of where you've been: If, like me, you have a terrible memory, you can also use the maps to help chronicle your journey. 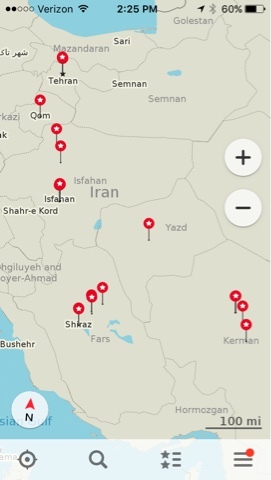 I dropped pins at sites we visited in Iran so that I could go back and look up their names when I was blogging 2 months later! What are your must-have travel apps? P.S. Google maps also just launched an offline function on Android systems... I haven't tried it yet, so don't know how it compares for navigating foreign cities. If anyone's using it, let me know what you think!